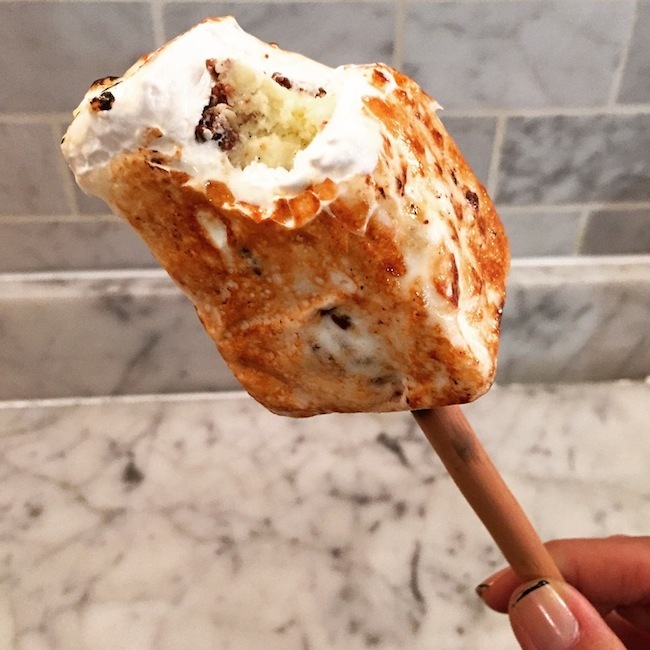 Are you a s'mores fan? I'm not a big marshmallow fan in general. 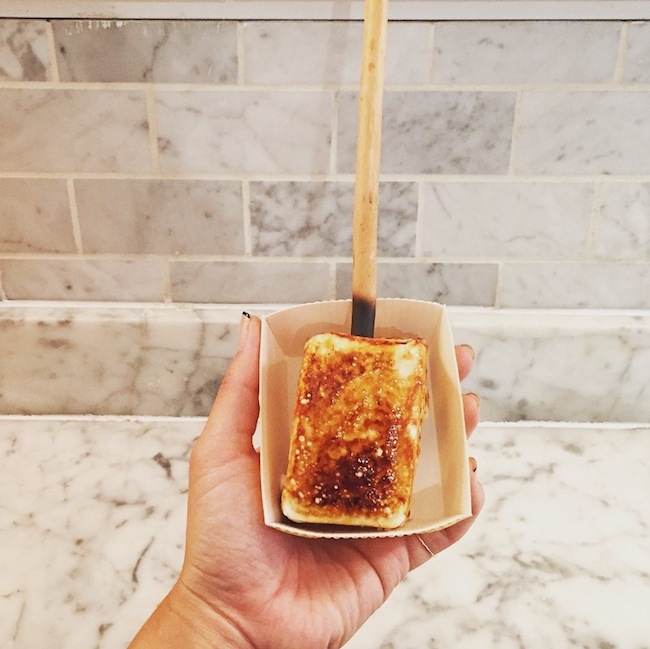 However I might be a semi convert since I tried the famous Frozen S'more at Dominique Ansel Bakery. I heard about the hybrid when I went to his dessert tasting last month. The chef was saying that when they opened their bakery in Japan the Frozen S'mores were flying out the store like hot cakes in the first two hours of opening. So of course I had to see what the hype was all about and had to try one when I was down in Soho yesterday! It's made to order, so takes about 5 minutes to make, and you can watch them roast it with a torch at the counter. Then you have to eat it immediately, since it's filled with vanilla ice cream, that's wrapped in chocolate wafers and then enveloped in marshmallows. Yum? Definitely should be tried! But I couldn't finish it. It's quite a large chunk, very sweet, and since I'm not a fan of that gooey texture there was only so much I could eat of it. I'll be back, but to share it with someone next time. Then I will also have room to get their other famous hybrid…The Cronut. Another hot seller on the menu! P.S. 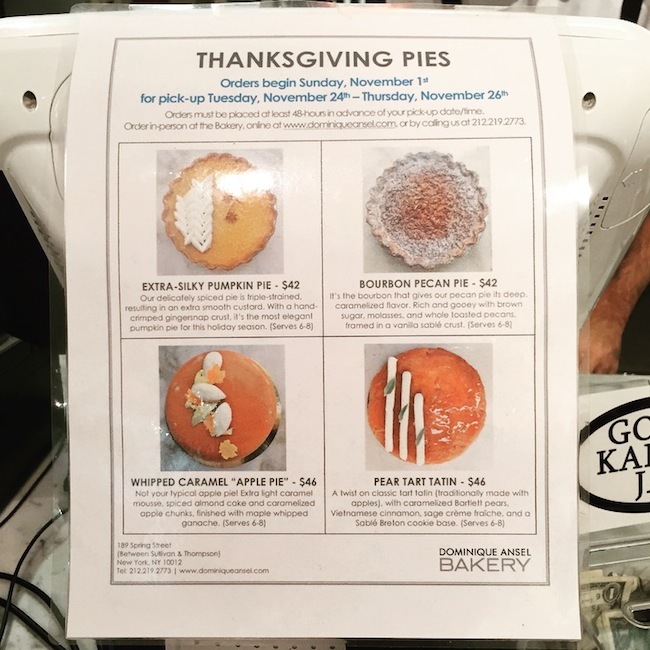 If your hosting for Thanksgiving and want one dish to skip, or if your a guest and want to impress the host…Dominique Ansel is now taking orders for pies. Never tried them, but I can bet they're worth the money! I'm convinced that anything that comes out of that kitchen is TOP.